Frigyes Pleszkán was born in 1959 (Csorna, Hungary). At the of 8 he began to learn to play the piano and jazz from his father. He made his debut at an amateur music festival when he was 11. At the beginning of the 1970s he began regularly performing at concerts and was admired by the musical profession as a child prodigy. In 1973 he was admitted to the Jazz Faculty of Bela Bartok Conservatory with special permission as underage guest student. As early as 1976 he made his debut with his trio at the largest concert hall in Budapest. The same year he was invited as a solo pianist to the Pori International Jazz Festival in Finland. Pleszkán continued collecting trophies: at the most prestigious television talent contest ‘Ki Mit Tud’ in 1977 which he won and in Kalisz (Poland) winning second place and also the press prize at the International Competition for Jazz Pianist in 1978. In the following years he went on appearing on radio and television, gave solo and trio performances at concerts, jazz clubs in a number of foreign countries working in long-term engagements too. 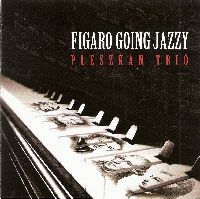 Pleszkán is at home in all styles of jazz and plays classical music too. As a jazz musician he was first influenced by Oscar Peterson’s technical perfectness to such an extent that already at the age of 16 he learnt the majority of Oscar Peterson's musical repertoire by ear, why he was called the greates follower of the famous pianist. Later on he developed a technical virtuosity that enabled him to play modern mainstream jazz, rhythm and blues and also the most modern trends. Nowadays, he is considered to be the best Hungarian boogie virtuoso too.